Stobart, which is also in partnership with Aer Lingus, Flybe and British Airways CityFlyer, said the deal followed its recent €36m (about £31m) investment in two E190s to service routes for BA Cityflyer from London City Airport, and the addition of 40 new jobs. The company said its overall passenger figures increased in 2018 by 12% over the previous year, with the airline carrying 2,224,037 passengers on more than 43,500 flights throughout the year. Stobart also reported a significant increase on its Flybe routes from Southend Airport, with passenger numbers doubling last year to 500,000. 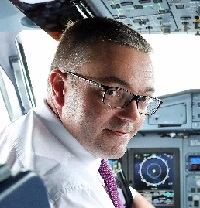 Managing director Graeme Buchanan said: “As a result of a strong route network and optimum schedules, coupled with operating key routes to meet the demand of our passengers, the airline continues to perform well.